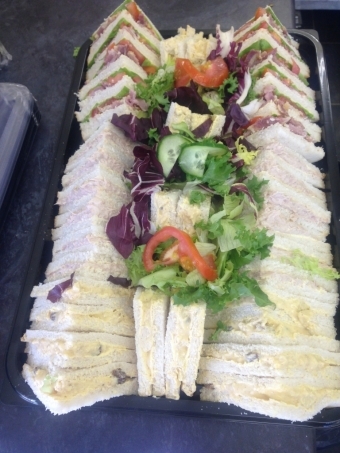 Sandwich platters for business lunches, funerals, small parties. 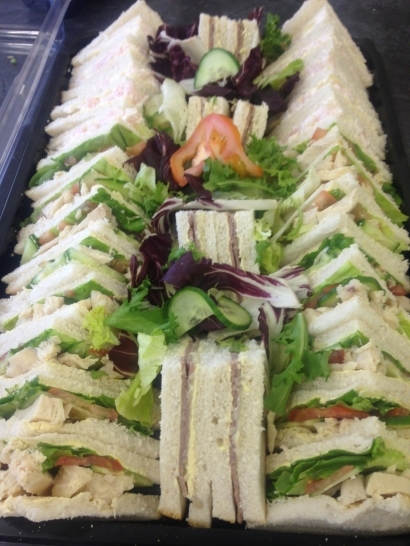 Each platter will feed 8 -10 people with each person averaging 1 round each. 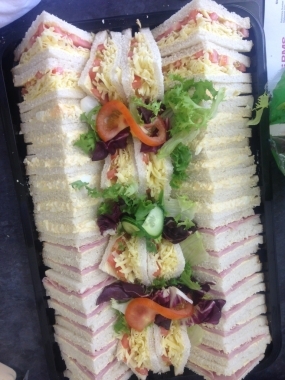 Sandwiches come with a mixture of white and brown bread. A few cakes for dessert.